A well-timed song due to the current state of the country were the President of the United States is put into question and speaks about the hard-working journey Mexicans that live in this nation. The music video of the new single celebrates the Latin culture in the US and the Mexican heritage of the young rapper. "I want everyone to dance and be happy by listening to my new song 'A Day Without A Mexican,' and when they watch the video (I want them) to relate and have hope. I also believe that I can help change the minds of those that don't understand our struggle and that we are just here for a better life," Kap G said. Kap G is considered one of the freshest and most important new voices in hip hop for his one-of-a-kind musical chronicles as a Mexican-American. 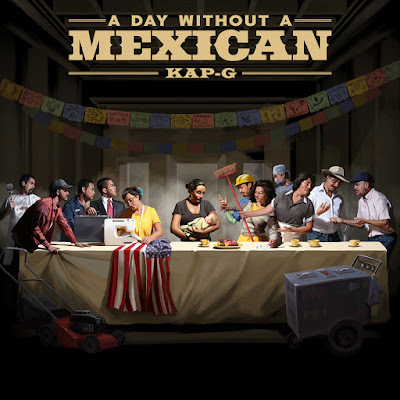 “A Day Without a Mexican” is available now at all DSPs and streaming services here.